Another year, another contract dispute. This time around, Soul Shop Entertainment and the two (former) female artists under the label duked it out. As usual, the skirmishes amounted to a he-said-she-said situation. Though, in Soul Shop’s particular situation, it came down to a he-said-she-said-she-said, as CEO Kim Tae-woo’s wife and mother-in-law became the leading antagonists. The first conflict arose between Megan Lee and the company at the end of 2014. As discussed before, Megan Lee filed suit in November 2014 to terminate her contract with Soul Shop, citing an unfair contract and breach of trust. On the surface, Megan Lee had quite the favorable contract: only a 5 year term and a 50/50 profit split. Claims began to be made that each side was unilaterally acting without the other’s knowledge or approval. There were also claims of verbal abuse from Kim Tae-woo’s family. Despite the seemingly fair terms and the mud-slinging from both sides, the courts actually ruled in Megan Lee’s favor, and her contract was nullified. 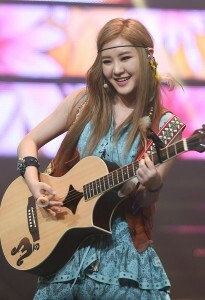 The courts stated that the company couldn’t arrange or complete the contracts for non-music activities without Megan Lee’s consent. Also, since the date of debut couldn’t be clearly determined, that created an unfair advantage for Soul Shop, in that the company could extend the contract for an indeterminate amount of time. Yet, that didn’t stop Soul Shop from filing a suit of their own, after nullification, in order to prevent Megan Lee from engaging in any entertainment activities. As long as the company was appealing, Soul Shop would consider activities to be a breach of contract. At the same time as Megan Lee filed her suit, another female artist, Kilgun, came forward with complaints. Kilgun expressed frustration about the complete lack of activities and promotions since signing with the company back in 2013. She also claimed mistreatment, just like Megan Lee. Kilgun further alleged that Kim Tae-woo’s wife would pester her about repaying the advancement money, even though she hadn’t been given any activities. After filing her complaint, Soul Shop sought to have the contract terminated. Her situation didn’t gain any media traction until March. Kilgun’s suit took quite the dramatic turn four months after the initial complaint when Soul Shop released their statement. When Kilgun signed with the company, she received not only a monetary advance, but also intensive training. The company stated that her music was delayed due to her lack of qualifications as a singer – which is interesting considering Kilgun debuted years prior. The biggest hit came with Soul Shop claiming that Kilgun had behaved badly: she allegedly cursed and yelled at Kim Tae-woo when he denied her request for the company getting a loan to pay her a monthly stipend. She also purportedly threatened suicide in order to destroy the company. Then, Soul Shop released the CCTV of the studio conversation. The issue was that there was no sound – so there’s no way to validate what either party said transpired. However, you can see that Kilgun was upset about something, and although emphatic about points she’s making, Kim Tae-woo seems calm and secure. If things were as bad as Soul Shop initially stated, the two parties did a good job at having a poker face through it all. But, just as suddenly as it begun, the situation ended on April 1. Soul Shop gave in and let go of Megan Lee and Kilgun. Their contracts will be terminated and the lawsuit against Megan Lee will be withdrawn. Kim Tae-woo further explained how his family became involved in the business: Soul Shop was experiencing financial issues, and his wife and mother-in-law joined the company to help. Despite their involvement, the final decisions were his and his alone. Perhaps it was the combination of the two suits that led to the company giving in, since it’s a drain on resources that a small company simply doesn’t have. Or perhaps it was the hit the company’s reputation was taking – in particular Kim Tae-woo’s family was getting the brunt of criticism. The situation does highlight the problems that can arise by having family involved in your business – especially when the family members appear to have no oversight. Despite claims to the contrary, the wife and mother-in-law seemed to have such a heavy influence that the artists directly accused them of misbehavior. As a company, you don’t want your family running rough-shod over those meant to make money for the company. Luckily, we didn’t have to eat as much popcorn in the current situation. This will help preserve some stability for Soul Shop – which is especially vital now that KIXS has joined and had his solo debut. Hopefully this will also be a learning experience for the company. They now know that falling below industry standards regarding contracts doesn’t mean companies are completely safe from injunctions. Soul Shop’s situation isn’t the first, and most certainly won’t be the last, label-artist dispute. Although things were somewhat quiet up till 2014, it seems the floodgates of exasperation have opened. Every few months a new conflict arises: Luhan/Kris–SM Entertainment, Jessica–SME, Clara–Polaris Entertainment, B.A.P–TS Entertainment, Ryu–WinningInsight Entertainment. Is there something in the water, or are artists realizing that they deserve better and are finding their voices to express that realization? Whatever the reason, the air surrounding K-pop has become tumultuous and uncertain.